The dark shiny eyes of a German pointer reflect friendliness and enthusiasm. With the ability to serve long days, German pointers have incredible agility, endurance and power. 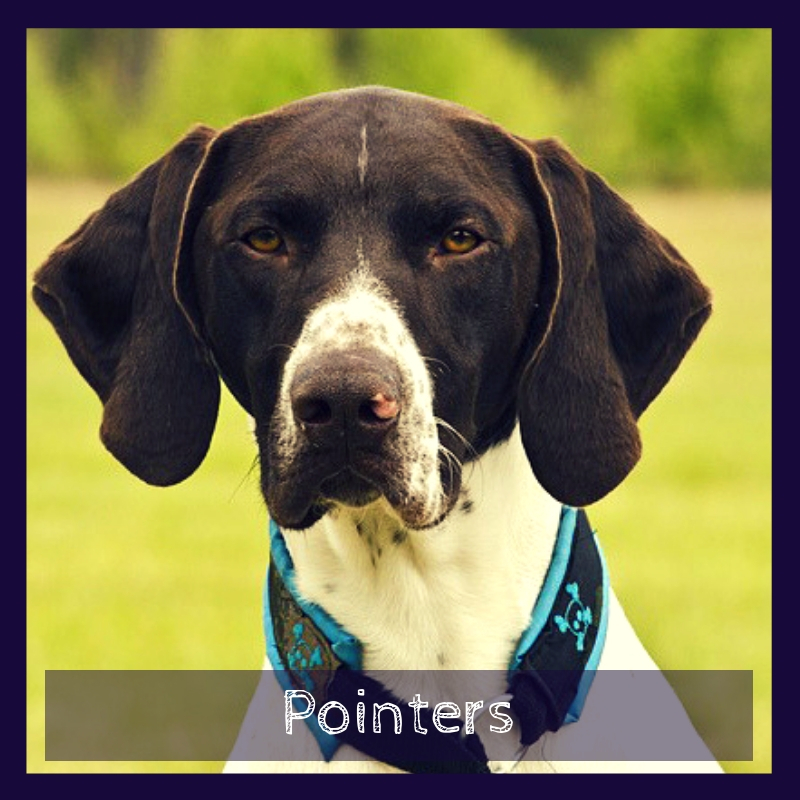 Pointer lovers often describe the graceful appearance of this breed with the words like aristocratic and noble. The happy pets are family-oriented and like to bond with their owners. Filled with boundless energy, German pointers love spending time engaged in outdoor activities. The sporty dog has an excellent versatility when it comes to choosing activities for it. It requires vigorous exercises to release pent -up energy. Feeding a rich quality- food with adequate amount of lean proteins and healthy fats is a key to increase German pointer’s life expectancy. Plus, the dog food must be age appropriate if you want your pet to grow healthily. A 6-month old pup requires two meals a day. As it reaches adulthood, you can increase the food quantity but morning and evening meals are usually sufficient. German Pointers are prone to developing bloating. You need to keep a check on their meal time as it plays a crucial role in their healthy development. Do not feed them immediately after vigorous exercise. Not only this, do not allow your German Pointer to exercise or run after eating as well. The ideal meal time is early morning or late evening, once pet is all done with his physical activities. This breed has sporty nature and loves participating in a plenty of physical activities. It excels in all kind of canine sports. Swimming and running are great exercises to burn its seemingly-infinite energy level. 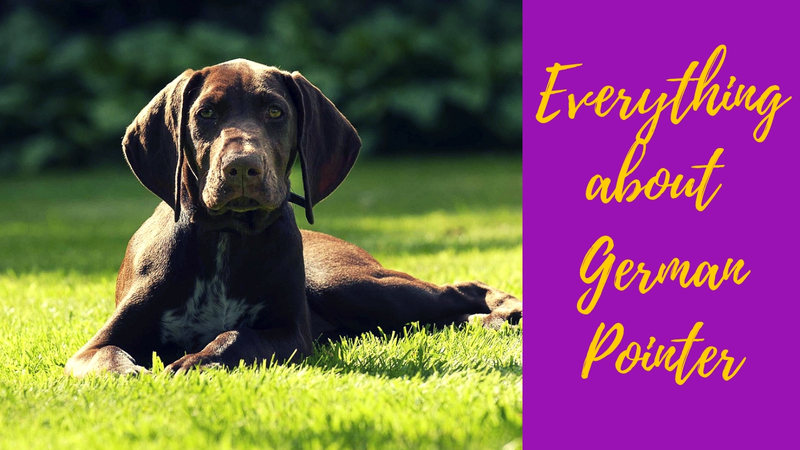 German Pointers can be your best playmates and rarely get tired when it comes to playing sports. Twice a day physical activity is essential for German Pointers. You can include brisk walk, running, and various field games to satisfy their athletic appetite. German Pointers are low-maintenance pets. With fewer grooming needs, the dog is easy-to-clean. The reason is their mild shedding trait that does not require regular brushing. There is no harm in brushing your German Pointers every five or six days. Using grooming gloves makes brushing task much easier and fun. 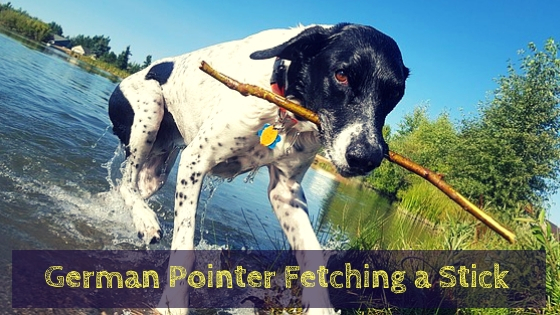 German Pointers have short coat that moderately sheds in certain seasons. It is the time your pointer needs little more brushing than other days to remove hairs they have shed. If you do not brush hairs on time, they will ruin your carpets and fabric. Ear cleaning, occasional bathing and nail trimming are some other important grooming requirements for German Pointers. It is an intelligent breed with an immense learning will. To teach obedience commands, you can commence the training with puppy training classes. German Pointers respond incredibly well to a purposeful training session. They remain consistent unless they learn the taught skills. However, German Pointers can give you a hard time as a trainer, especially if you are training a pup (six months to three-year old). They are energy busters and have a powerful hunting drive. The dog needs an active owner to channel its exuberance into optimum outlets. This is also why they don’t usually make great emotional support dogs to register. That’s not to say they can’t become an ESA dog, but if you’re looking to travel with them it’s not necessarily going to be easy to bring a high energy animal on to a commercial airplane. Generally, this breed is healthy but there are certain health conditions that can have negative impact on their growth. Like many other breeds, pointers are prone to hip dysplasia -a bone and joint disorder, eye disorder like retinal atrophy and heart diseases. Furthermore, bloating is another common health problem that can be life-threatening if stomach distends. As an owner, you must educate yourself about the symptoms of these dog disorders. The smart dog is versatile and has high-spirit to learn and play. It is a fantastic household dog and a loyal companion. Easy-to-groom, German pointers are ideal pet to keep.